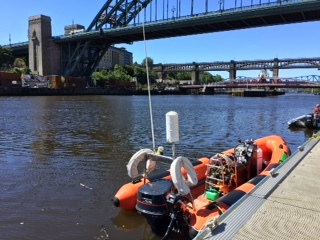 Sentry Boats were happy to provide a fully coded and crewed RIB to Tyne Tees Television for the filming of the opening of the Great Exhibition of the North on 22nd June, 2018. 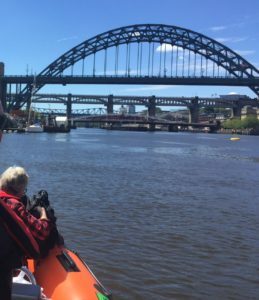 The perfect weather on the day showed the River Tyne, bridges and the fountains at their best. The camera man and reporter from Tyne Tees were reporting live on the 6 o’clock news and Sentry 1 provided a great position for them to deliver their report.